Review: Patty and Bun on Old Compton Street offer fast burgers in a great atmosphere5 Different Types of Dads and what to buy them on Father’s DayMoonpig have launched edible meat-flavoured Father’s Day cards… Here’s how to get one! The weather has been getting pretty hot in the last month, especially those of us in London. 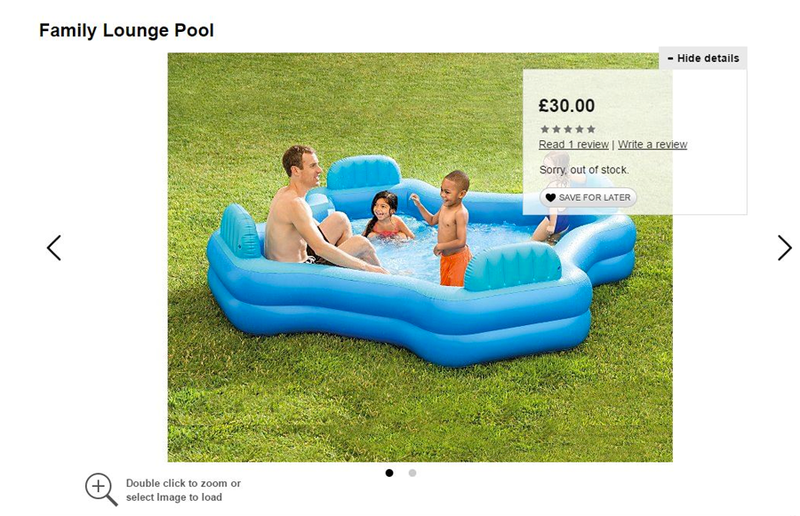 If switching on the fan isn’t enough for you, then take a look at the incredible inflatable paddling pool from ASDA that people are going mad for online. This inflatable pool is an enormous 267cm x 216cm x 66cm, has 4 seats to relax on, and better yet… it’s only £30 from ASDA. The ‘Family Lounge Pool’ was posted by user Kellie Swanton on Facebook, and has since gone a bit viral, with 5,000 likes and 16,000 shares (and counting). Call your mates, it’s time for a pool party! Check the ASDA website for more details. Try an ice cream and éclair mash-up to celebrate National Eclair Day in style!